The Association of Friends of Semmelweis University (in Hungarian: Semmelweis Egyetem Baráti Köre) was founded in 1989. It functions both as an alumni association, bringing together former students of the University, and as a circle of friends, open to all, including current students, teachers, scientists, and colleagues – living in Hungary and abroad – who wish to cherish the rich traditions of this nearly 250 year-old institution. The Association has over 600 registered members, one-tenth of whom reside outside of Hungary. The Association’s aim is to foster the University’s long traditions and keep the memory of its former prominent professors, students, and scientists alive. Furthermore, it helps to disseminate the work of the many outstanding personalities presently active at the University. Association members regularly hold gatherings, where they share their views and experiences on various scientific and commemorative topics through lectures and cultural events, or just to enjoy a friendly chat. The circle also celebrates Semmelweis University’s most important anniversaries, provides several grant-in-aid opportunities for students, and maintains its own website (www.baratikor.semmelweis.hu), which features among others a steadily growing photo gallery and digital museum of the University institutions, as well. 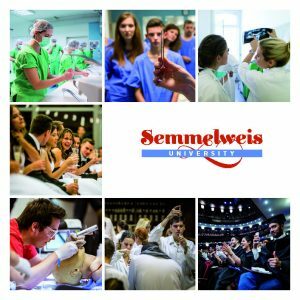 The Association has become an integral part of Semmelweis University over the past nearly three decades. Its dynamic growth and popularity guarantee that an increasing number of former students and professors will maintain an active relationship with their Alma Mater, even after finishing their university years.